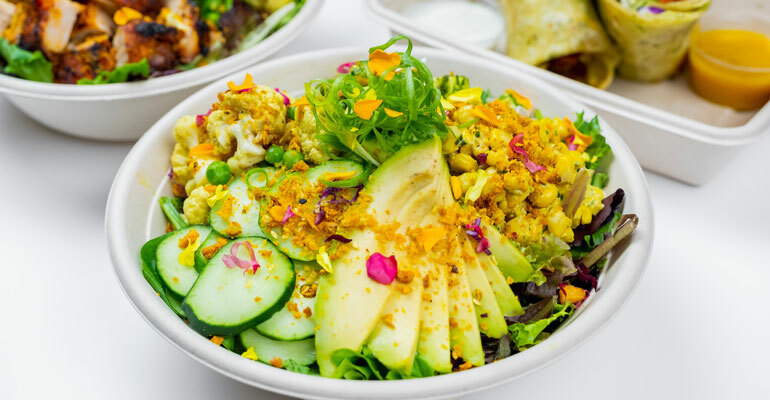 San Francisco-based Bamboo Asia doesn’t aim to be yet another fast-casual concept marketed toward discerning urban Millennials. They want to be tech innovators. In fact, owner Sebastiaan van de Rijt said the Bamboo Asia concept is just as tied to up-and-coming restaurant technology trends like centralized cloud kitchens and automated inventory management as it is to food quality. Although the cloud kitchen — a centralized commercial kitchen where food can be prepped for restaurants and delivery off-site — is nothing new, van de Rijt contends it offers a significant competitive advantage. Bamboo Asia, which first opened in 2012, currently has two locations in San Francisco with three more Bay area openings in the works for early 2019. 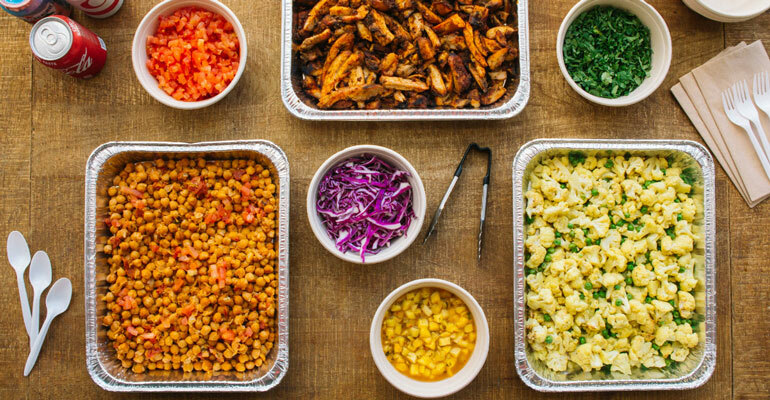 The company plans to open another cloud kitchen with subsequent restaurant locations in the Los Angeles area by the end of 2020. Van de Rijt said they are funding this expansion in part with a major investment from the founders of the delivery app Caviar: Jason Wang, Shawn Tsao, Richard Din and Andy Zhang. The Bamboo Asia cloud kitchen has the ability to service 12 restaurants at once. From this off-site central kitchen, chefs can prep food for multiple restaurants and prepare dishes for catering and delivery orders. For example, the central kitchen chefs can prep the menu of “Far East flavors with West Coast vibes,” that includes sushi rolls, poke bowls, tandoori chicken wraps and bowls, curry bowls and Vietnamese sandwiches for about $12.50 per person. When the prepped food arrives at each restaurant every morning, the food is finished in-house and all hot dishes are cooked sous-vide style, from Vietnamese broccoli to curry Vindaloo. Both Bamboo Asia locations are about 2,500-square feet with casual seating for 50 and a bright, multi-colored décor. The second Bamboo Asia location in San Francisco only took about three weeks to get up and running and cost only about $280,000 given the leaner needs of the more-minimal kitchen. “We are able to separate that whole prep component from the cooking component, which means a lot less square footage, like we don’t need full kitchen ventilation and grease traps, which cost about $500,000 for an average restaurant,” van de Rijt said. Bamboo Asia said it currently does more than $2.5 million in sales at each store with profit margins above 30 percent. In the future, the central kitchen and restaurant kitchens will be Bluetooth connected to allow chefs to virtually operate and control via the cloud the time and temperature of the sous vide machine. “When it comes to technology from back of the house you want to identify how to cut costs and make things efficient,” he said. This virtual culinary technology will be integrated with Bamboo Asia’s proprietary inventory management software developed by Van de Rijt’s in-house development team to track 200 ingredients on a daily basis. The program provides real-time data from product purchase to sales, and automatically places orders with outside vendors. In the near future, he hopes to develop an app with mobile ordering and automated checkout features for regular customers. Van de Rijt said they are also looking to “hire” artificially intelligent automated chefs to staff the cloud kitchens. But that raises the question of robot job replacement. Is van de Rijt worried about taking away food service jobs? Van de Rijt does not see a problem, He instead said that the newer technology will automate “menial and repetitive tasks” so that employees can focus on more challenging responsibilities, like customer service and guest experience. This article has been changed to reflect updated figures on the chain's average unit volume and profitability, as well as additional detail about the decor.